I have received three compliments on my diary in the past couple of weeks. That is a lot of attention for a diary don’t you think? 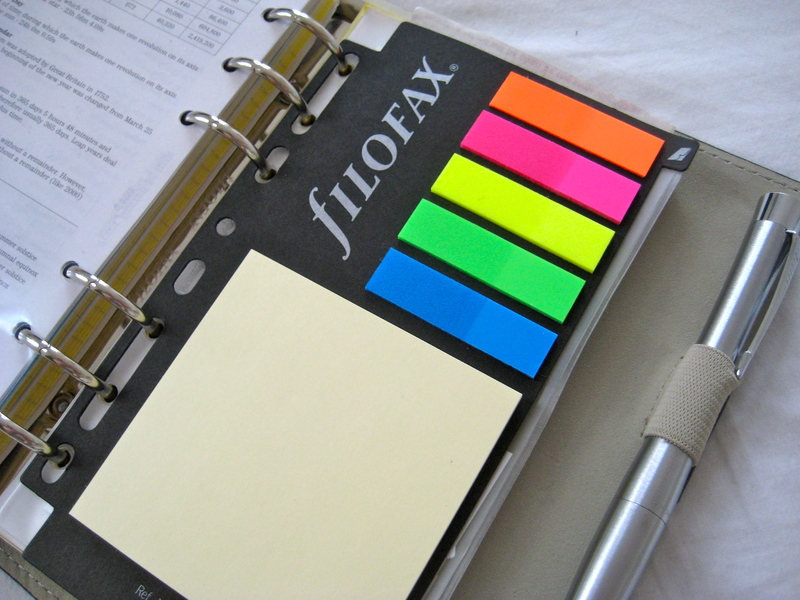 I give a knowing nod to those who lavish praise upon my organiser of choice and simply say, “Filofax”. I work in an environment where I’m not allowed to have any personal belongings on my person – which of course includes iPhones, iPads and other electronic devices which would allow one to tweet about how my work day is progressing. In order to keep myself organised when I was promoted earlier this year I popped to my stationer of choice and picked out the 2012 diary that was the most visually appealing to me and had a nice planner structure within it. After about a month of messy notes stapled to pages and forgotten tasks I promptly went out and bought a filofax. What worked in the 90s works just as well now – am I right? What counts about the filofax is that it’s sturdy design can withstand the knocks and bruises that paper diaries take from year to year. The well known six ring binder keeps all your pages tightly together – ripping a page out takes a good pull so you can be sure nothing is going to accidentally tear out. 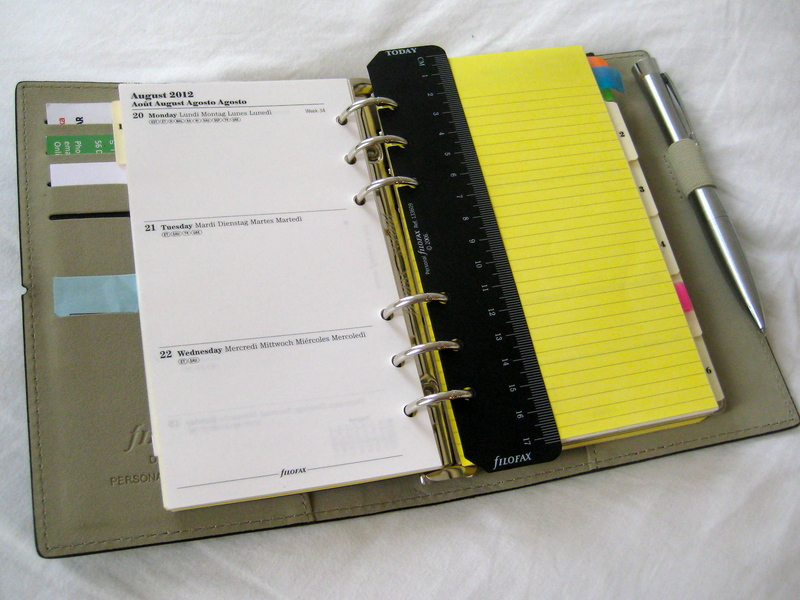 The advantage of the filofax binder is that you can swap in and out pages as you need them. I personally use the “week on two pages” format for my main calendar with a separate “month on two pages” calendar for larger events. Every week usually gets a sheet of lined note paper in the middle of it for notes but of course if I have a busy week I can add more and more. There are hundreds of combinations out there for anyone who prefers jotting notes down or for people like me who can’t rely on an electronic alternative. You can make a filofax your own, and no matter where my career goes – I’m pretty sure my filofax will come along for the ride. For those in the know and those who want to know, my filofax is a Personal sized Domino. This entry was posted in Stationery and tagged diary, domino, filofax, filofax personal size, messy notes, organisation, organiser, personal, ring binder, sturdy design by Jonathan Day. Bookmark the permalink.